Do I have new favorites? Which ones have fallen out of favor? This time around, we’ll cover a greater span of time from as recently as last year, all the way to 1978! We start with last year’s list. This most recent decade won’t see much in the way of significant revisions, as I explore deeper into catalog releases than following new artists. Wouldn’t it be odd if I discover new artists from 2017 five years from now? Probably not. Jason Isbell’s previous two albums ranked high on the Favorite Edition lists of 2013 and 2015, but The Nashville Sound had a tenuous grip on its position in the 2017 list. The late discovery of Sampha and Eluvium gave Isbell the final nudge. Anne Dudley took up Eluvium’s vacated spot, nearly knocking Living Colour off. Brandon Stansell makes his first appearance on the list. Stansell performed at the Concert for Love and Acceptance, hosted by Ty Herndon. Like Herndon, Stansell is a country artist, although he’s starting his career out of the closet. 2017 was a rather active year in music, but when it came to new releases, I opted to leave a lot of stuff on the shelf. A decade ago, new albums by Arcade Fire and Grizzly Bear would have been breathlessly awaited. I don’t get the sense either had much staying power beyond their release dates. As a result, I ended up purchasing a total of 34 new titles, approximately 7 percent of my total buying activity. The remaining purchases? Catalog and reissues. This list, in other words, comes from a small pool of albums. Sam Smith and Living Colour are the big changes from the mid-year list. The Thrill of It All isn’t as weird as I hoped it could be, but it’s a more appealing album than Smith’s debut. Shade is the perfect soundtrack for the frustration of living under the current administration. 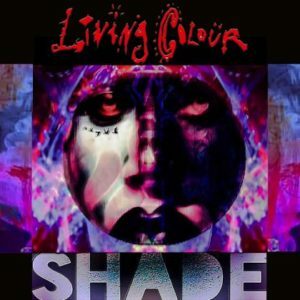 Pre-release press mention the blues as a springboard for the album, but really, Living Colour transform the blues in ways that are nigh unrecognizable. Eluvium, Shuffle Drone: I hate both the repeat and shuffle buttons on my playback mechanisms. That said, Matthew Cooper deserves mad props for creating an album that puts both buttons to excellent use. 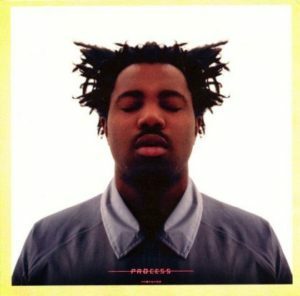 Sampha, Process: I admit I didn’t listen to this album till a few weeks ago, once it started showing up on year-end favorite lists. David Rawlings, Poor David’s Almanack: My long-simmering discovery of Gillian Welch will have to wait for another entry, but it’s the reason David Rawlings shows up here. Shiina Ringo, Gyakuyunyuu ~Kuukoukyoku~: Part of me misses the rocking Ringo-chan of the early 2000s, but then hearing these songs side-by-side with the artists who recorded them first deepens my appreciation for her. Sufjan Stevens / Nico Muhly / Bryce Dessner / James McAlister, Planetarium: It helps to have heard this album with a laser light show. The Drums, Abysmal Thoughts: Jonny Pierce takes over the show. Cocco, Cocco 20 Shuunen Kinen Special Live at Nippon Budokan ~Ichi no Kan x Ni no Kan~: The live performances don’t stray too far from what’s heard in the studio, but Cocco’s voice doesn’t seem to have aged a bit. Duran Duran, Thanksgiving Live at Pleasure Island: If you’re a fan of the seriously-underrated Medazzaland, this live album is a must-have.